WISMEC Column Subohm Tank is a 6.5ml/2ml capacity tank. 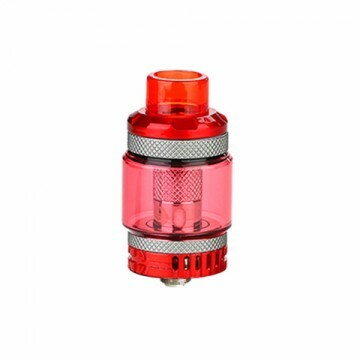 It is an innovative subohm tank with powerful WL01 0.15ohm Single coil. Featuring the 25mm diameter. This is the Child Lock Edition. WISMEC Column Subohm Tank Aimed to bring optimal flavor, the Wismec Column is an innovative subohm tank with powerful WL01 0.15ohm Single coil. Featuring the 25mm diameter and 6.5ml/2ml e-juice capacity, the Column tank is perfectly. WISMEC Column Subohm Tank is a 25mm diameter tank with an innovative subohm tank with powerful WL01 0.15ohm Single coil. Featuring the and 6.5ml/2ml e-juice capacity. 300W WISMEC Reuleaux Tinker Box MOD Powered by triple 18650 cells, REULEAUX TINKER can supply up to 300W output and the 0.96inch TFT color. Bought this tank two times. WISMEC Column Subohm Tank is an innovative subohm tank with powerful WL01 0.15ohm Single coil. Featuring the 25mm diameter and 6.5ml/2ml e-juice capacity. nice tank with strong and removable case, sever well in all round, standerd in quality, amazing product that gives me what I want and need I will never think twise in getting another to have two of it. WISMEC Column Subohm Tank is an innovative subohm tank with powerful WL01 0.15ohm Single coil. Featuring the 25mm diameter and 6.5ml/2ml e-juice capacity, the Column tank is perfectly. 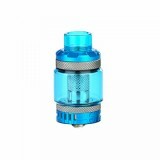 WISMEC Column Tank is a typical Subohm Tank with 6.5ml or 2ml capactity. The Column has this brand-new WL01 0.15ohm coil for massive cloud and refined bottom airflow control for easy operation. If you are looking for a top refill design tank, well, WISMEC Column is just the one you need. This is the Child Lock Edition. We recommend you to use it with the WISMEC Reuleaux Tinker MOD. • Perfectly compatible with WISMEC Reuleaux Tinker MOD. The WISMEC Reuleaux Tinker Kit is also available in BuyBest.